Some tools that can help you for increase your website’s loading speed: All tools Checked By My self in my Blog. Loads.in – Tool to check website load speed from different locations. Offers detailed information such as waterfall charts and screenshots. Pingdom Tools – Tool to check website load speed. Offers some detailed information and advice how to improve its performance. Google Webmaster Tools – Has a section called Site Performance where you can see the average loading time for your website. It gives you a history of the last months progress and a comparison with the fastest loading 20% which they consider to make the difference between slow and fast loading pages. The time however may be a bit unrealistic: 1.5 seconds. Why would a page that loads in 2 seconds be considered slow? It also tells you how accurate these results and from how many users they have been gathered. Keep in mind though these results are gathered only from users who have the Google Toolbar installed. 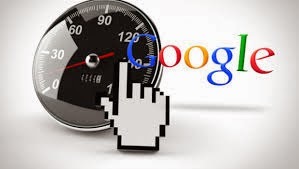 Google Page Speed – An addon for Firefox and Chrome that analyzes a webpage’s performance, puts up a page score and gives advice on how to improve its performance. Also available as an standalone online tool. YSlow – A plugin available for several browsers that compares the page with a set of rules and puts up a page score. Also offers advice on how to increase the page’s performance. Note that the report on the CDN service is not accurate as a list of CDN is not available with the plugin and must be manually set up.